VANCOUVER - Dust off the skis, get out the toque and find the hiking boots — B.C. officially has a holiday in February. 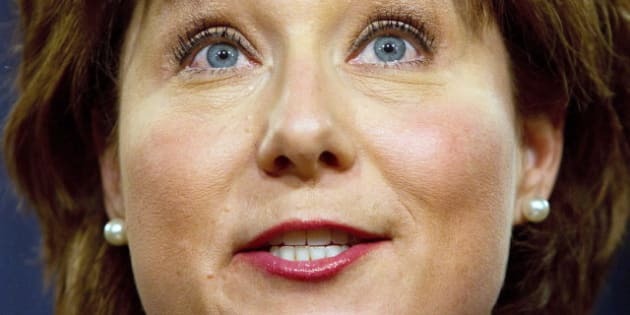 Family Day will now fall on the second Monday of every February starting in 2013, fulfilling a promise made by Premier Christy Clark even before she became the premier. "So mark your calendars, it's a day to spend with your family," Clark said smiling. "It's a day to spend with all the people that you love, doing something that you love, hopefully right here in British Columbia." Clark, who made her announcement at Vancouver's Aquarium while the whales did a beluga ballet in the background, said Family Day would be a great day to spend on the ski hill, in the park for a walk or at the local community centre. "One of the things that I know is that its not true that it's the quality of time that you spend with your family, it's actually the quantity that matters too." Sherry Sinclair, a board member of the B.C. Association of Family Resource Programs, said the announcement is a cause for celebration. Her organization supports thousands of families in B.C. through almost 270 resource programs. "I can assure you that this is more than a holiday or a day off," she told the gathered crowd and media. "It's a day that values the broad diversity of families in this province and their hard work and dedication." The Tourism Association of B.C. said in a statement the holiday provides a good opportunity to reinforce the message to stay and play in B.C. B.C. now has 10 statutory holidays each year. Alberta, Ontario and Saskatchewan also celebrate Family Day, while the February holiday in Manitoba is Louis Riel Day and Islander Day in Prince Edward Island. However, not everyone is thrilled with the extra holiday. B.C. Conservative MLA John van Dongen said the government announcement won't create a single job, and in fact would likely cost jobs. "A new stat holiday will be another overhead cost for the business community," he said in a news release. "With an average cost of $1,135 to small business with fewer than five employees, small businesses are already struggling." The government delayed the implementation of the holiday by a year because they recognized the economy was fragile, but the economy is recovering, Clark said. "We're going to be able to create a big economic impact that we otherwise wouldn't have, for the tourism sector, for the retail sector, for the recreation sector. I think there is going to be a big positive impact of it as well," she told reporters. The government chose the day after one of the largest web-based polls ever conducted by the province. More than 31,000 people weighed in with their choices and comments. The second Monday garnered over 18,000 votes while the third Monday had the support of about 9,400 and several thousand more had no preference, but wanted to give their input. The holiday also falls one day after the 2013 Chinese Lunar New Year. Labour Minister Margaret MacDiarmid said they had some people who advocated for the second Monday in February because it was often closer to the Chinese New Year. The Chinese New Year falls on a different day every year, but is often around the end of January or beginning of February.